A late goal from Mohau Mokate, together with some outstanding saves from Shu-aib Walters, saw Maritzburg United through to a 1-0 win over Ajax CT on Tuesday. The Urban Warriors enjoyed the better of the chances on the night, but United kept themselves in the game with some stubborn defence and superb stops from Walters. His first save came on 23 minutes, when the Team of Choice keeper pushed Abbubaker Mobara’s shot clear of goal before also saving from Toriq Losper. Mosa Lebusa headed wide of the target two minutes before the break as the visitors continued to press for a goal. 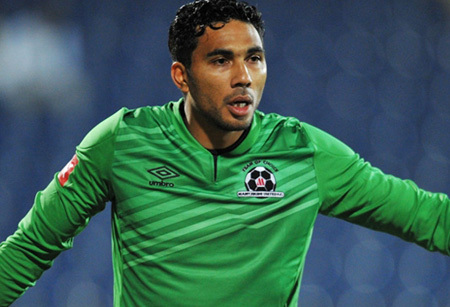 Keagan Dolly was to have a great chance just after the restart, but again the Cape Town-born Walters made a brilliant save in a one-on-one situation. The final 10 minutes of the game saw the contest bursting to life as Lebusa’s header was pushed onto the woodwork by Walters before his counterpart, Anssi Jaakolla made a block on Mohau Mokate after 86 minutes. But Jaakolla was to be beaten by Mokate in the 92 nd minute when he headed in Deolin Mekoa’s cross.